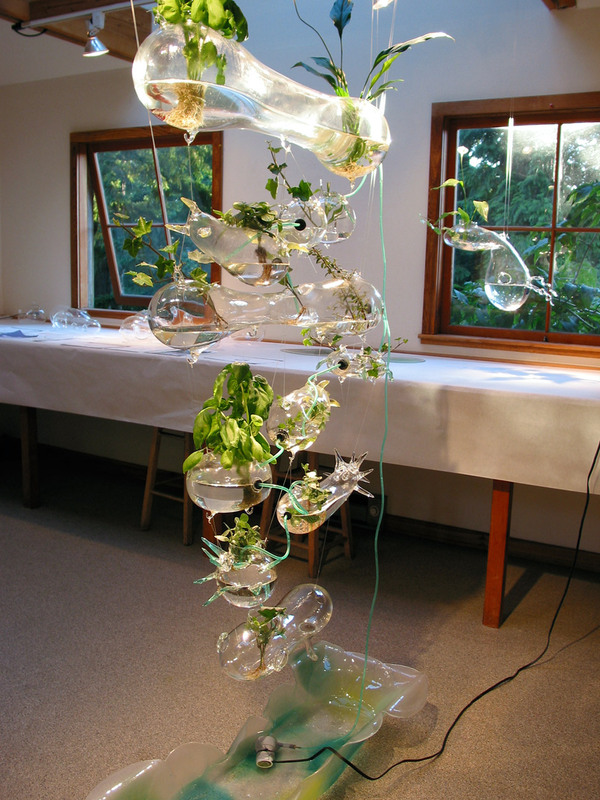 This installation is a collaborative project with Ken Rinaldo that resulted from discussions about indoor, sustainable gardens. It is our hope that such systems could become alternatives to purchasing vegetables that have been grown on petroleum-powered farms and trucked to grocery stores (produce purchased in the US travels an average of 1,500 miles from farm to fork). 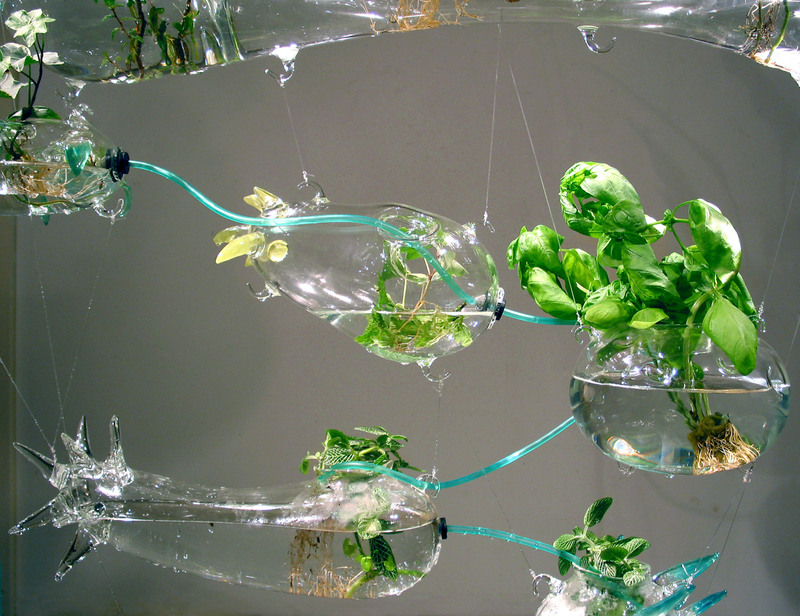 This hanging hydroponic garden also serves as a sculptural, indoor waterfall. A solar pump raises the water when the sun shines, allowing aeration, circulation of nutrients and the sound of trickling water. 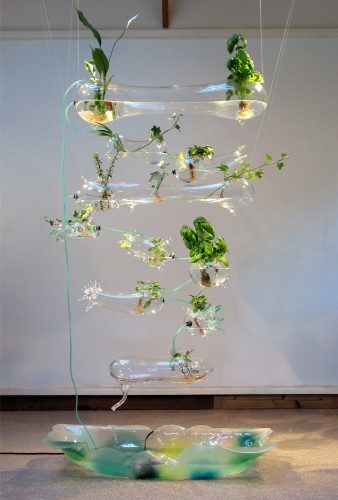 The glass containers are designed to offer a view of the complex root structures of plants; an important element we normally do not get a chance to see. 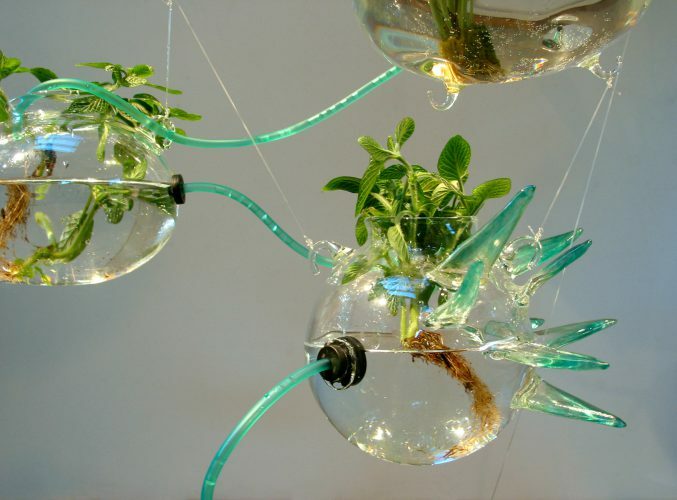 Materials Hand blown glass vessels, live plants,water and solar powered pump.